Founded by Peter the Great in 1703 and Russia’s capital from 1712 to 1917, St Petersburg is one of the world’s loveliest cities. Its historic centre contains some of the best 18th and 19th-century European architecture, and since the arts-loving Catherine the Great founded the Hermitage Museum it has also been one of the world’s most important cultural hubs, with subsequent leaders pouring money into theatre, opera and ballet. And yet, there is a darker side to this splendid city. It was built on a swamp, thousands died to make Peter’s dream a reality, and the city’s inhospitable climate continues to dog its inhabitants with hallucinatory ‘white nights’, long, cold winters and fierce floods. A city of contradictions then, where wealth and poverty have always co-existed to a dramatic degree – and whose contrasts have inspired many great artists. St Petersburg’s aristocratic glamour has proved irresistible to many, including the city’s most famous composer, Tchaikovsky. The Tsarina’s Slippers (Cherivichki) features a spectacular court entertainment in praise of Catherine the Great; Act II of The Queen of Spades opens with a masked ball and theatrical divertissement and in Eugene Onegin, Tatyana’s tragic reunion with Onegin occurs at an elegant St Petersburg party. Kenneth MacMillan’s 1971 version of his ballet Anastasia – whose first two acts nostalgically explore the last days of Tsarist Russia – shows that Imperial St Petersburg’s splendour continued to fascinate artists long after the 1917 Revolution. However, operas, novels and ballets often reveal this splendour to be superficial. Anastasia ends with the protagonist’s troubled ‘memories’ of the Russian Revolution, and The Queen of Spades contrasts genteel court life with the sordid world of the city’s gambling dens. 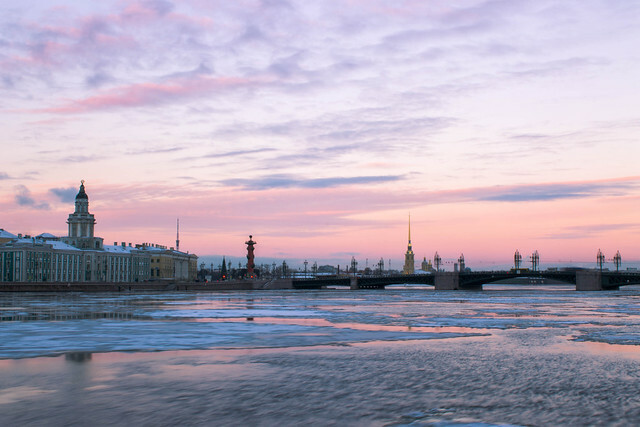 Tolstoy was perhaps one of St Petersburg’s greatest critics: in War and Peace and Anna Karenina he denounces the snobbism of the city’s aristocrats, and compares its grandeur unfavourably with the homelier, authentically ‘Russian’ ambience of Moscow. Aristocratic splendour was only one aspect of St Petersburg. From the early 1800s, poorer districts sprang up and the middle and working-class populations expanded due to industrialization and – after 1861 – the emancipation of the serfs. All of this proved good literary fodder. 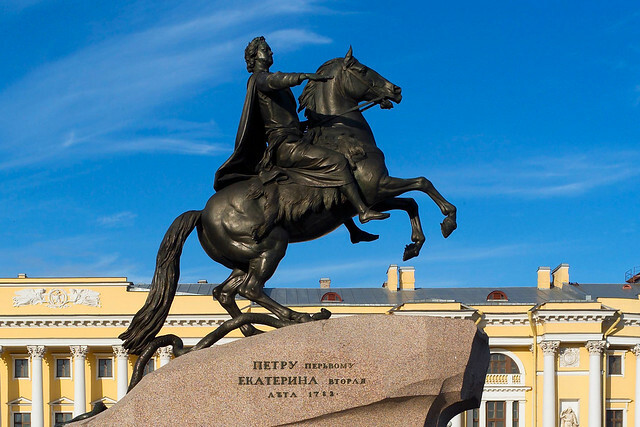 In Pushkin’s 1833 narrative poem The Bronze Horseman the working man Evgeny loses everything in a terrible flood; he curses the city’s famous equestrian statue of Peter the Great, which subsequently pursues him to his death. Gogol’s satiric yet compassionate stories of the 1830s explore the lives of St Petersburg’s clerks, civil servants, bohemian artists and artisans. To take but two examples, social status obsesses the mysteriously de-nosed Collegiate Assessor Kovalov in The Nose, while The Overcoat depicts a poor clerk whose life is destroyed when he’s robbed of his new overcoat. Some thirty years on Dostoyevsky dug still deeper into the city’s poverty and squalor, setting his great novel Crime and Punishment in a slum peopled by poor students, artisans, criminals and prostitutes. It was these visions of St Petersburg that attracted 20th-century composers. Stravinsky’s ballet Petrushka uses Russian folksongs to depict the city’s working-class inhabitants and circus artists. In The Nose, Shostakovich evokes the crazy chaos of Gogol’s St Petersburg through a collage of musical styles, and frenetic sections including an interlude scored for percussion. Towards the end of the 20th century, Soviet composer Mieczysław Weinberg based his eerie opera The Portrait on a Gogol story about a poor St Petersburg artist who buys his way into high society via a magic portrait, but ultimately goes mad. St Petersburg’s colourful and dramatic history continues to exert a strong artistic presence, including in many recent films and literary novels. Whether they celebrate its beauty or explore its sordid underbelly, St Petersburg has clearly proved a vital inspiration for creative artists for more than 200 years – and looks set to remain so. The production is a co-production with Komische Oper Berlin and Opera Australia and is given with generous philanthropic support from Hamish and Sophie Forsyth, The Tsukanov Family Foundation and The Royal Opera House Endowment Fund.